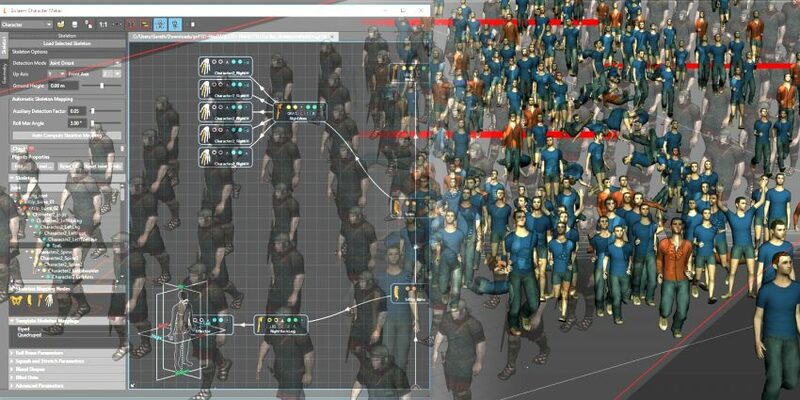 Golaem Crowd is an artist friendly crowd simulation tool for Maya used in production by a long and growing list of visual effect studios. This introductory course, taught by Gareth Stevenson, assumes no previous knowledge of Golaem Crowd, but covers all aspects of the software and is based on direct production experience, so even existing users should find something new to learn. After an overview of the software to give a sense of how the various tools work together, Stevenson goes through each element of Golaem Crowd in the order they’re used to build a shot, from integrating custom Maya assets to crowd distribution, behaviors, simulation and rendering. While the course is pegged as introductory, it quickly progresses to cover more difficult subjects and more intermediate-level techniques. This course is just one of over 200 courses at fxphd, all available with both the premium and standard memberships.